Aruba is an adventure lover’s paradise. By land, sea or air, there are so many ways to blaze your own path. Let Aruba local, and 14-time World Champion windsurfer, Sarah-Quita, show you some of her favorite spots to get adventurous in Aruba. Discover one of Aruba’s most gorgeous hidden gems, Mangel Halto. Discover one of Aruba’s beautiful off the beaten path beaches, Boca Grandi. 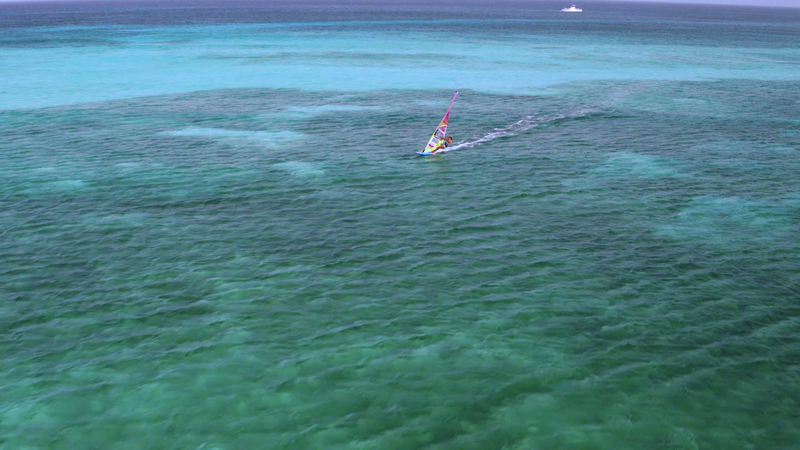 Discover one of Aruba’s best spots for windsurfing. Aruba is a tiny paradise, so you can do so much in one adventurous day. I hop in a jeep and start at the northern tip at the California Lighthouse, with incredible views of the island. Then I drive the coast with amazing coves until I reach Bushiribana with a secret natural pool to take a dip! Next stop, Mangel Halto, a real local gem where you can snorkel and paddleboard. My next favorite spot is beautiful Boca Grandi, where you can take a kitesurfing or windsurfing lesson.